In just under a year, the Airbus A350-1000 went from first flight to type certification. 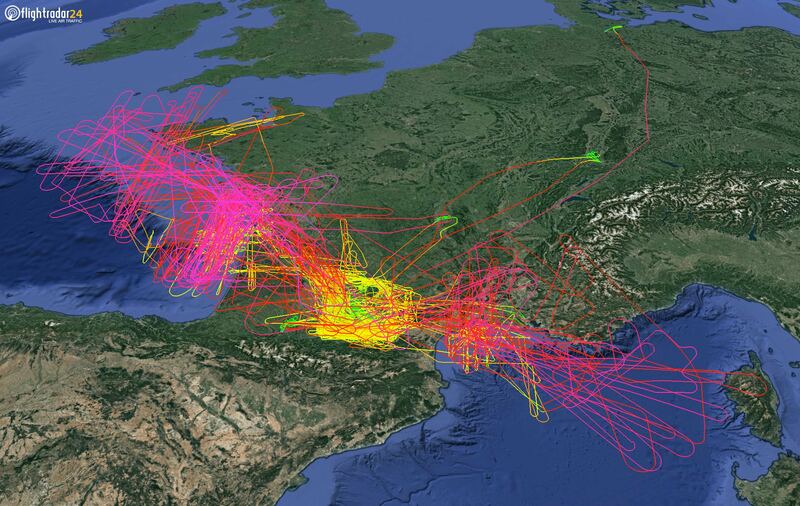 Using three test aircraft, Airbus flew throughout Europe and visited North and South America and Asia to complete the necessary flights and tests. We’ve put together a visualization showing some of the A350-1000’s flight test program as it built hours toward certification. 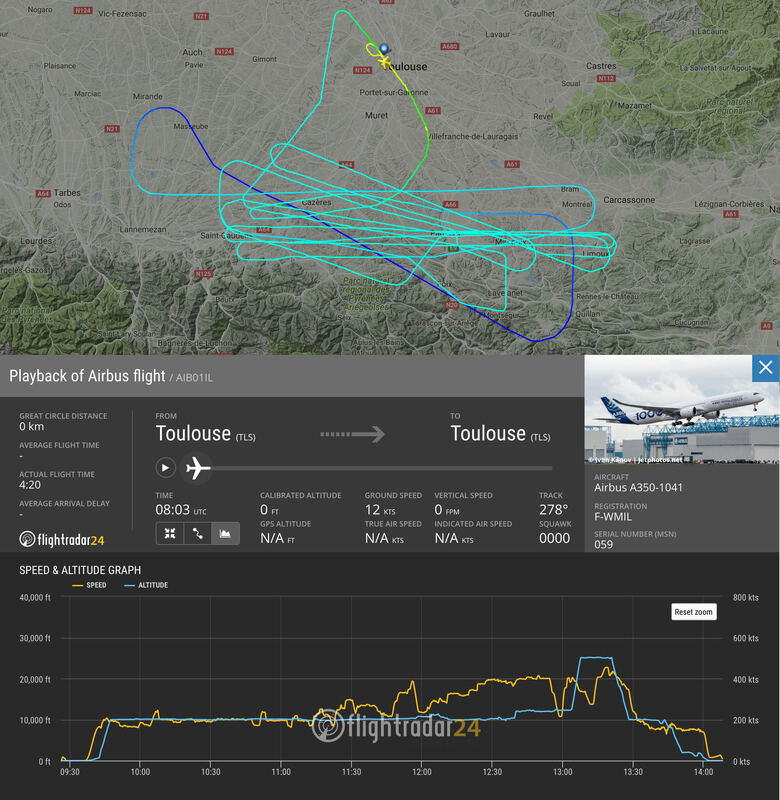 The A350-1000 first took flight on 24 November 2016, with MSN 059 | F-WMIL spending 4 hours 20 minutes in the skies above France. MSN 071 | F-WWXL flew next on 10 January 2017 and MSN 065 | F-WLXV made first flight 1 month later, taking off on 7 February. We checked in on the program in late February. 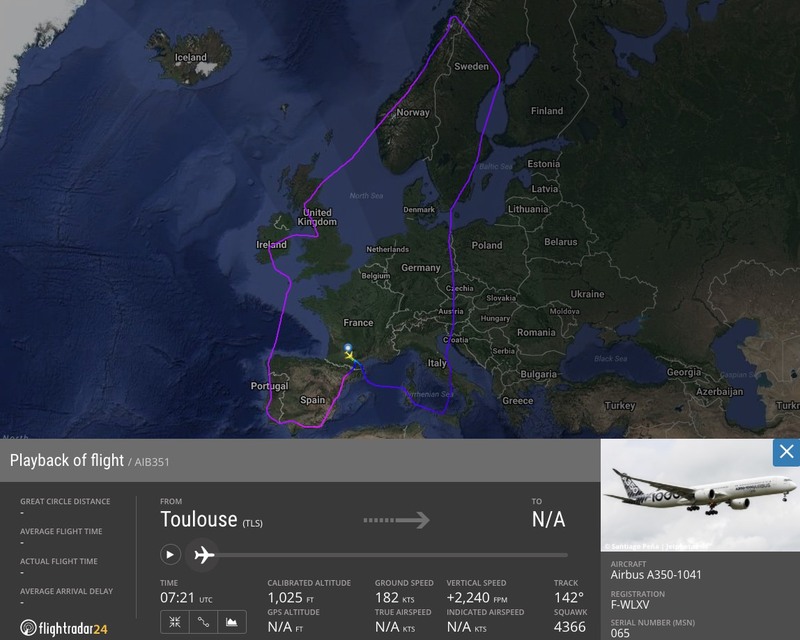 And Airbus performed its first long flight passenger tests on 11 May when F-WLXV flew around Europe with a full complement of passengers and crew. The A350-1000 received type certification from the European Aviation Safety Agency and Federal Aviation Administration on 21 November 2017, paving the way for delivery of the first aircraft to launch customer Qatar Airways later this year. In October we activated nearly 100 new receivers, including a few that have immediately had a large coverage impact. Throughout the month, we tracked 4.9 million flights, nearly 300,000 more flights than in October 2016. Two new receivers in Yemen, including one on Socotra, are providing good coverage of flights over the Gulf of Aden and the Arabian Sea. A cluster of receivers in the southern United States are helping provide increased coverage and expanded MLAT coverage there. And a new receiver in Slave Lake, Canada is helping with coverage of flights in central Canada. 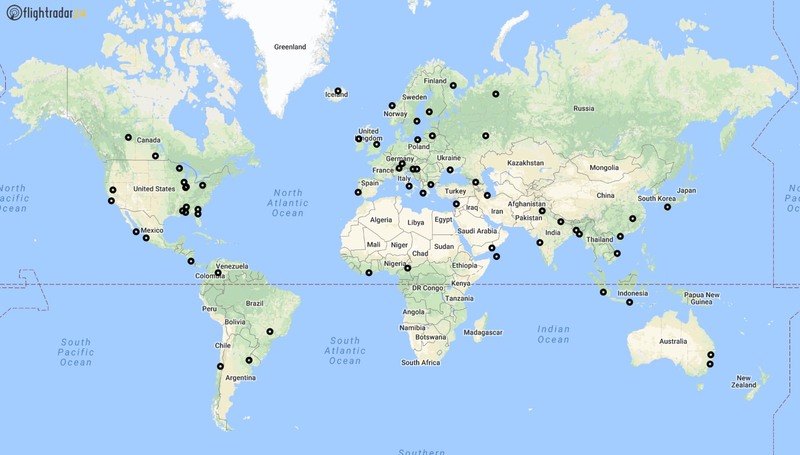 Here’s the full map of all receivers activated during October (click to expand). We are always looking for new receiver hosts. Especially if you or someone you know lives in a remote location, please apply to host a receiver. All of our receiver hosts get a free Flightradar24 Business Subscription, which can be used on the web or within our new mobile app. If you’re interested, please apply today. If you’d you like more information about our application process, you can read more about it in our blog post.